Custom cabinets often separate the good from the great. 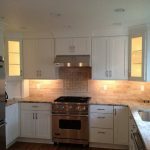 Functionality, usability, and craftsmanship make custom cabinets a clear choice for any upscale remodeling project. When it comes to cabinets there are huge differences in quality and features. 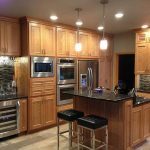 Wood species, construction styles, trim packages, functionality, and hardware are only a few of the many things to consider when choosing you cabinet package. Any good cabinet project starts with a great design. Seeing your cabinets before they go into production eliminates much of the confusion associated with custom cabinet purchasing. 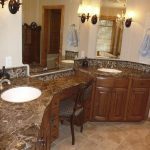 When clients choose C&K for their remodeling project we bring our reputation for design, craftsmanship, and excellence to every project. Good design and layout reduces problems and increases functionality as well as the overall remodeling experience. Don’t leave your house to just anyone. Let us turn the house you have into the home you love.